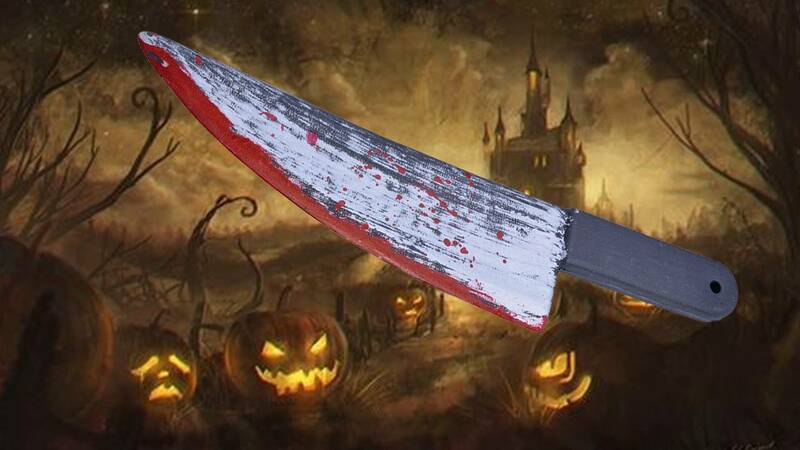 NASHVILLE, Tenn. - A woman who stabbed her friend in the arm said she thought she was playing along with a scene and given a prop knife, according to a police report. Tawnya Greenfield, 29, told police she and friends were waiting to enter the Nashville Nightmare haunted house with friends on Oct. 5 when a person she believed to be one of the characters and an employee at the venue asked if her friend James Yochim was bothering her. Believing she was playing along with one of the haunted house's scenarios, she said he was. The person then handed Greenfield a knife and said, "Well here, stab him," according to her report to Nashville Metropolitan Police. Thinking the knife was a prop and she was continuing the gag, she then plunged the knife into Yochim's left arm. Greenfield said, when she pulled back, she realized there was blood on the knife, a hole in Yochim's shirt and blood squirting from the victim’s left arm, according to the report. Nashville police responded to a stabbing call and the victim was taken to Skyline Emergency Hospital. In the report, Greenfield told police that she did not intend to injure her friend. Another friend, who witnesses the stabbing, also believed that the knife handed to Greenfield was a prop knife, the report said. He told police he heard the person who gave the knife to Greenfield said he did not realize that the knife was that sharp. Nashville Nightmare said it has had a good reputation in the area, that their medical staff responded immediately to the incident and they are investigating further. "As we have continued to review the information, we believe that an employee was involved in some way, and he has been placed on leave until we can determine his involvement," the company told ABC News in a statement. "We are going over all of our safety protocols with all of our staff again, as the safety and security of all of our patrons is always our main concern."